Made of warm and breathable Windstopper Fuga fabric. Keeps the wind out while maintaining breathability. Designed to keep you riding no matter the weather. 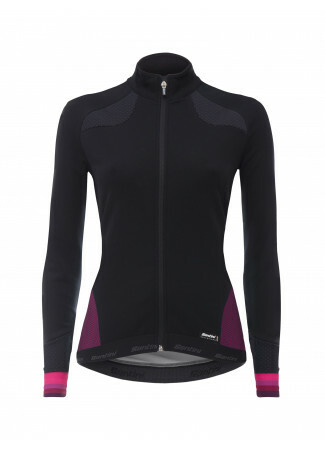 Anatomically designed for the female form, a tight fit is assured. Elastic Jacquard at the base of the jacket keeps it in place while you're on the move. With reflective details and a side pocket for safe storage of valuables. 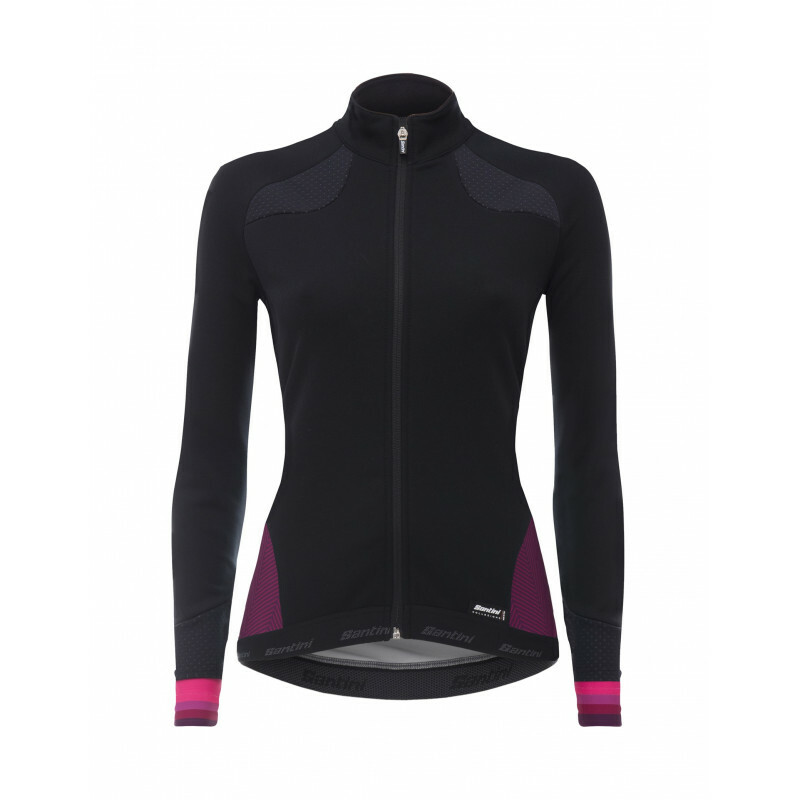 Fit - The cut of the jacket is anatomically designed for the female form, along with the mix of fabrics chosen, making it literally fit like a glove. Elastic Jacquard at the base of the jacket keeps it in place while youre on the move. Performance - Warm and breathable Windstopper Fuga material was chosen to keep you riding no matter the weather. 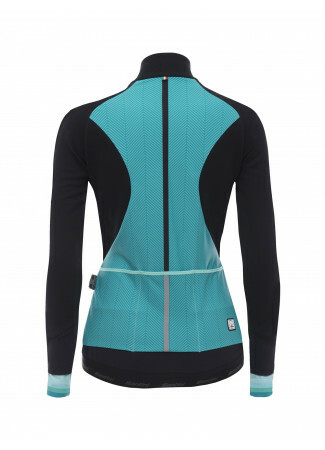 The back features reflective details for added road visibility. Added side pocket to safely store your valuables. Comfort - TheWindstopper fabric has exceptional thermal balance properties. 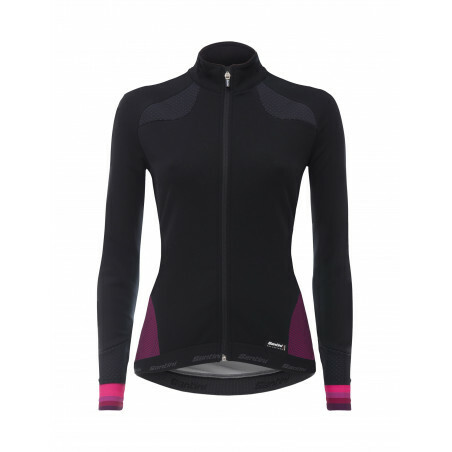 The membrane keeps the wind out while maintaining breathability. Ottimo prodotto, materiale performante, mantiene bene il calore e permette una buona traspirabilità, molto bello esteticamente e la qualità di realizzazione è al top come ogni prodotto Santini. Giacca bella da indossare la giacca è molto bella e protegge bene dal freddo e dal vento. Ottima con una maglia termica sotto. Molto soddisfatta dell'acquisto. Ottima vestibilità e protezione dal freddo... traspirante!!! This jacket has seen me through the winter, sometimes with a gilet on top, and then one or two base layers underneath (I always feel the cold). It really keeps out the wind chill - I love it, including the orange panels/detail. My only a bit sad observation is that the earlier version had a little cap to cover over the zip at the top - this was an awesome design detail - but it's gone from this one. Sadly I then crashed and tore the jacket on impact so not sure how much of an irritation it would be - but ultimately, to reiterate, this is a great jacket and I'm aiming to get a replacement.